The nation's premier forensic loan audit wholesaler and forensic loan auditor certification training for attorneys and professionals specializing in mortgage modification and real estate law. Expert witness, legal support for Real Property Valuation, Review, Forensic Review, Asset Management, Regulatory Compliance for Appraisal Management Companies, Portfolio Analysis for Loan Repurchases, and Loss Mitigation. MFI-Miami and it's owner Steve Dibert have become internationally recognized leaders for investigating mortgage fraud, mortgage compliance, predatory lending and mortgage securitization. Through our offices in West Palm Beach, Florida and Traverse City, Michigan, MFI-Miami now covers 13 states. Michael F. Richards is a banking expert who provides testimony and litigation support to attorneys representing financial institutions, businesses, and individuals. 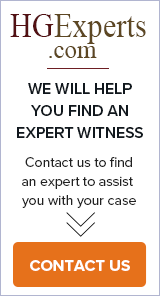 Expert witness services include analysis of key issues, case strategy, depositions, opinions, and court testimony. Mortgage Expert Witness and Consulting - Dan Shlufman, Esq. PF2 – An independent consulting firm with specialized expertise in the &#8203;evaluation of financial products and the study of financial market dynamics.